An emotion is best expressed with a beautiful gift. Express how important a person can be and his special day can be for you. 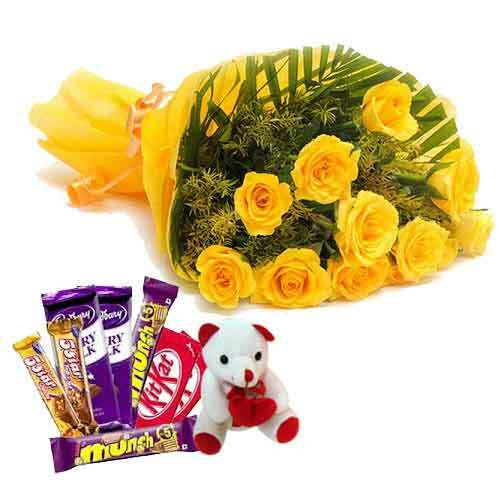 Show your treasure of emotions with this very beautiful collection of 12 bright yellow roses in a yellow paper packing bunch along with assorted chocolates and 6 inches teddy.